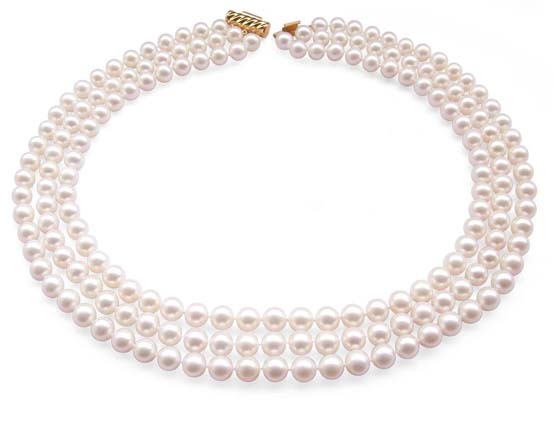 The pearl necklace includes three pearl strands at 16″, 17″ and 18″ long. These are very high AAA gem quality 7-8mm genuine freshwater pearls with very high luster, very well matched and in round shape with hardly any surface flaws. 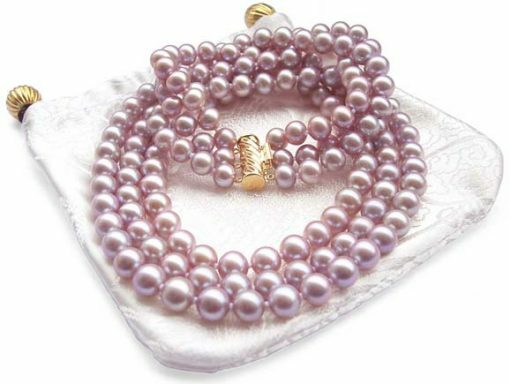 Each pearl is individually hand knotted by double silk threads. 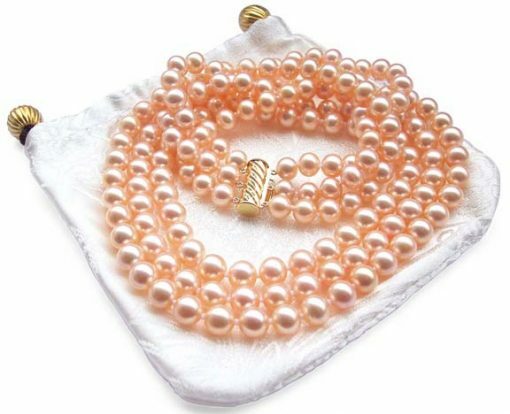 All pearls are very clean and with smooth nacre surface. 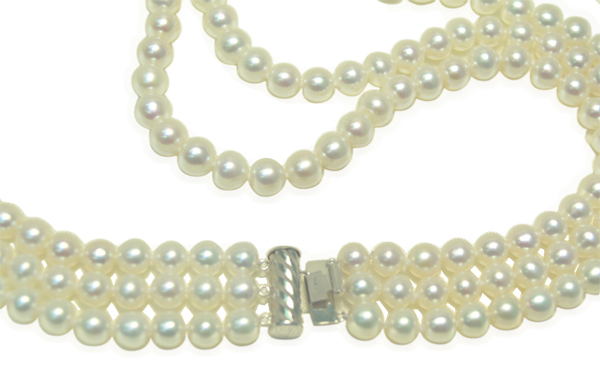 The necklace is finished with a 3-row 14k solid yellow or white gold clasp to give you a gorgeous look as pictures shown. 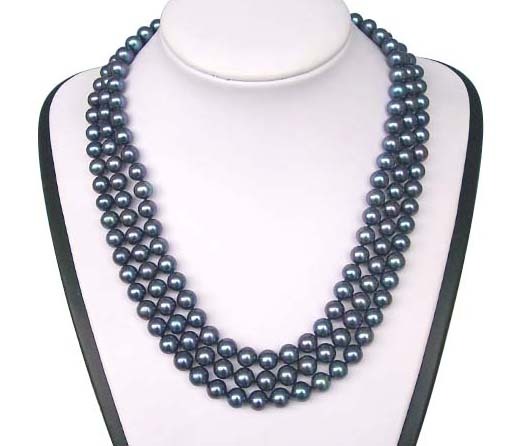 This pearl necklace will make you stand out in any occasions and for an incredible value. 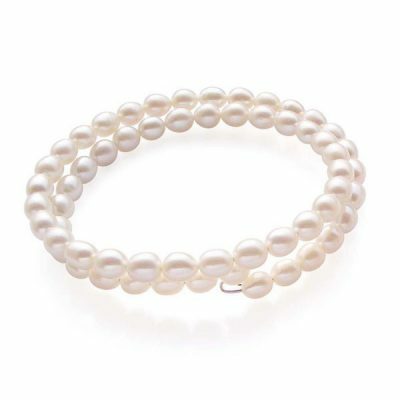 You would probably pay more than double the price for a single strand at 16″ long at other retail stores. 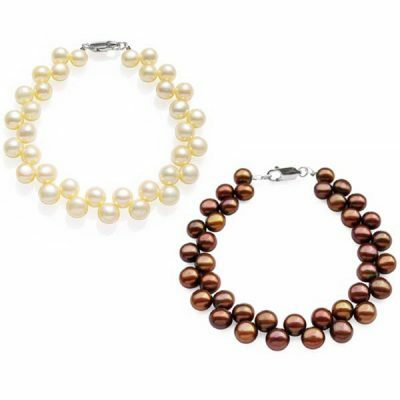 Please see the drop-down menu below to view the variety of currently available colors. Every extra inch cost only $10. 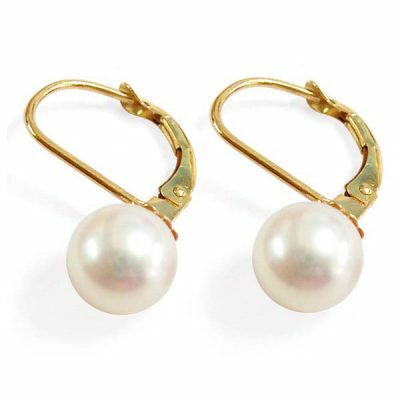 You can also go to our earrings department to choose a matching pair of earrings to get a completed outlook. Don’t delay, get your dazzling pearl necklace today!